Androgens are the hormones largely responsible for healthy oil production and while that truly has benefits for your skin, it's a problem when androgens stimulate too much sebum production. This excess sebum production can lead to clogged pores that can result in blackheads and breakouts. Exfoliation is one of the most important skincare steps for oily skin. Oily skin tends to have an extra-thick layer of built-up dead skin cells on the surface of the skin, along with a thickened pore lining. Exfoliating is the best way to remove that build-up of dead skin cells and reduce clogged pores, while making skin feel smoother. The best exfoliating ingredient for oily skin is Salicylic acid (a Beta Hydroxy Acid - BHA). Salicylic acid exfoliates not only the surface of your skin but also inside the pore lining, helping any oil rise to the surface. Another benefit of salicylic acid is that it has anti-inflammatory properties so it reduces irritation which helps to calm oil production. DermaTx Clarify Cleanser contains 2% Salicylic acid. Jan Marini Bioglycolic Bioclear Lotion is a great resurfacing product as it contains Glycolic acid, Salicylic acid and Azelaic acid. As you begin to get your oily skin under control, it's likely that you'll still need to use oil absorbing products. Clay masks can be great at absorbing oil, for example the Medik8 Natural Clay Mask. Glycolic acid is another oil-absorbing, clarifying ingredient. Glycolic acid helps to reduce excessive oil and prevents the plugging of pores. A glycolic acid based toner is perfect at removing excess surface oil such as the NeoStrata Oily Skin Solution. 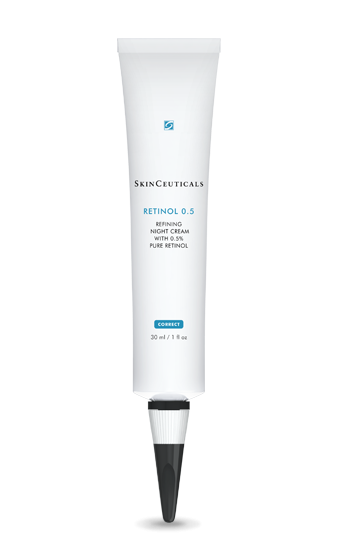 Retinol is a vitamin A derivative and is commonly found in anti-ageing formulations that target problems like wrinkles and hyperpigmentation, yet it's just as effective for oily skin. "Anything that builds collagen and firms up skin, like retinol, will help keep pores tighter so that they create and emit less oil," explains Dr. Gross. Having oily skin does not mean you can skip a moisturiser. Choose a lightweight moisturiser that contains no pore-clogging ingredients and that can provide hydration while treating your skin to the essential ingredients such as antioxidants. NeoStrata Sheer Hydration is a light moisturiser which hydrates skin with antioxidants in an oil-free formula. Or if the thought of applying a lotion or cream is out of the question then go for a hyaluronic acid skincare product, a natural way to boost your skin's moisture. For example PCA Skin Hyaluronic Boosting Serum or Medik8 Hydr8 B5 Serum. Sunscreen for oily skin, a sunscreen is essential for preventing wrinkles and reducing red marks. Heliocare Advanced SPF 50 Gel or Heliocare 360 oil free gel are particularly suitable for oily and spot-prone skin. 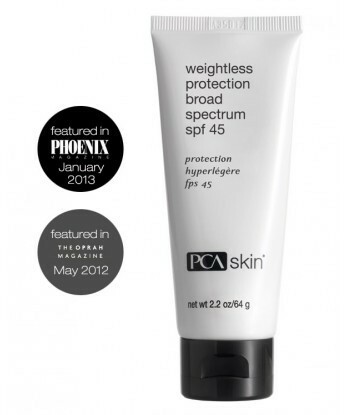 PCA Skin Weightless Protection Broad Spectrum SPF 45 contains ultra-sheer zinc oxide and a blend of additional sunscreen ingredients. Plump and firm skin through increased hydration with this advanced hyaluronic acid formulation.